Fancy a cheeky midweek night away, then this offer is just for you! You can now enjoy our £123 package including dinner, bed and breakfast for two between Sunday and Thursday*. Have a relaxing night away knowing dinner and breakfast are covered. We have limited rooms available so book now to avoid disappointment! 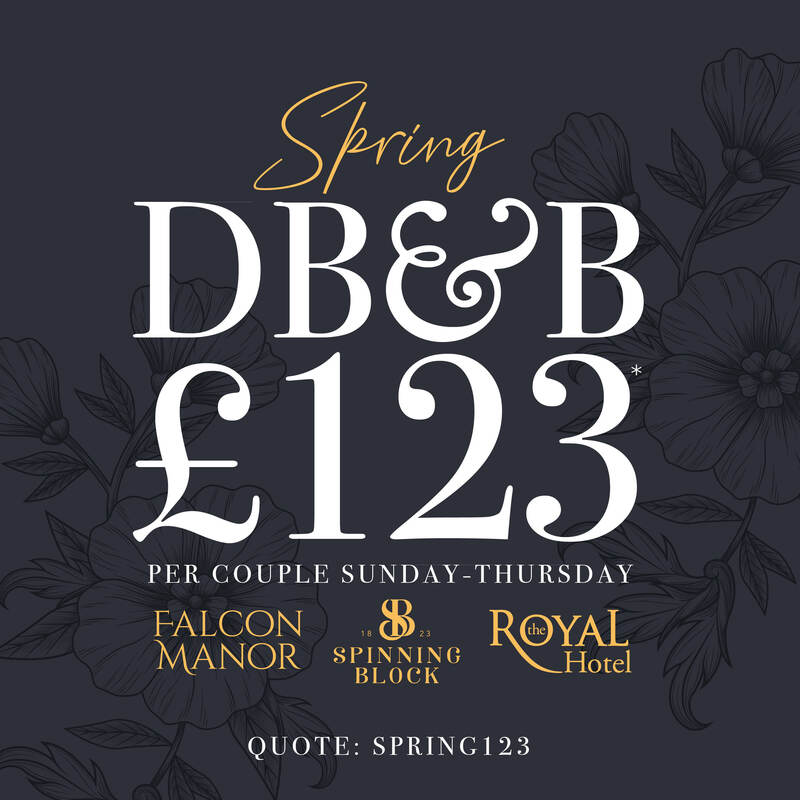 *Offer is valid for two sharing a classic double room Sunday – Thursday 4th March- 30th April 2019. Subject to availability.